Our 2016 show in French was a double bill of Molière’s comedy The Doctor in spite of Himself (“Le Médecin malgré lui”), and the celebrated absurdist play The Bald Soprano (“La Cantatrice chauve”) by Eugène Ionesco. 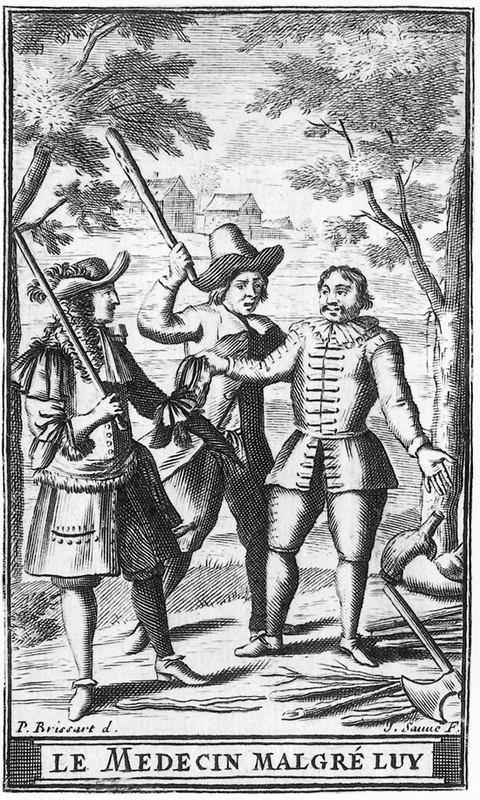 The Doctor in spite of Himself (“Le Médecin malgré lui”) is a three-act farce in prose that was first performed on August 6, 1666 at the Théâtre du Palais-Royal in Paris where it enjoyed great success. One of the main themes it satirizes is medicine in 17th century France. The Bald Soprano (“La Cantatrice chauve”) is a one-act Theatre of the Absurd comedy by Eugène Ionesco that opened on May 11, 1950 at the Théâtre des Noctambules in Paris. It was Ionesco’s first play and has become one of the most performed French plays ever, it having been performed continually (as of 2016) at one theatre in Paris since 1957. For more on the plays, see the Wikipedia articles about The Doctor in spite of Himself and The Bald Soprano. There are also Wikipedia articles about Molière and Eugène Ionesco. The full text of The Doctor in spite of Himself in English and French as well as one-page summaries in English and French of both plays are available below. The text of The Bald Soprano is subject to copyright; however, you can find several different editions in English at the Toronto Public Library. We gave two performances, on Friday and Saturday, April 15 & 16, 2016, at 8 PM at the George Ignatieff Theatre on the downtown campus of the University of Toronto. One-page summaries of both plays in English (available on-line below) as well as projected surtitles in English were available at both shows. 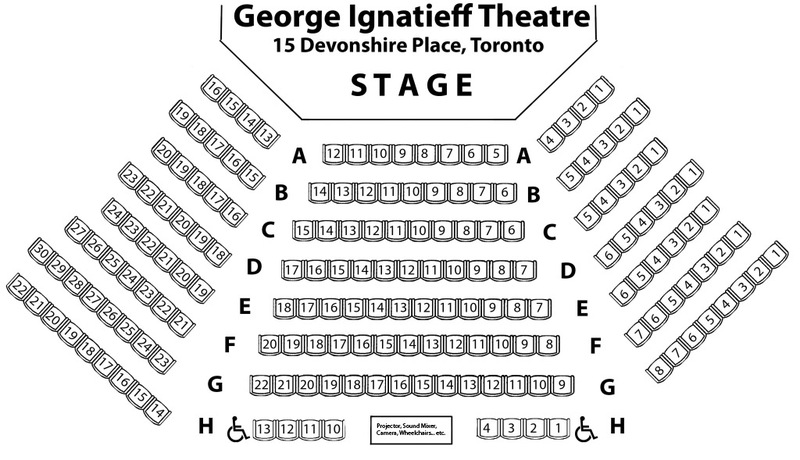 One could purchase tickets on-line, right away, with seats assigned following a consultation with our box office staff beginning in early April; or one was able to contact our box office by telephone weekdays 11 AM – 5 PM starting April 1. Tickets, if any remained, were also available at the door on the night of the performances with payment by cash only. The Bald Soprano (“La Cantatrice chauve”) – subject to copyright. View editions in English at the Toronto Public Library.